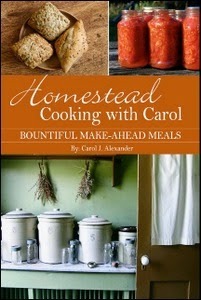 I recently received a copy of Homestead Cooking with Carol:Bountiful Make ahead Meals by Carol J. Alexander. I was asked if I would share a review of the book, and after reading it through I decided I would love to do that. The book is full of great ideas on how to store, prepare, and plan make-ahead meals in the kitchen. 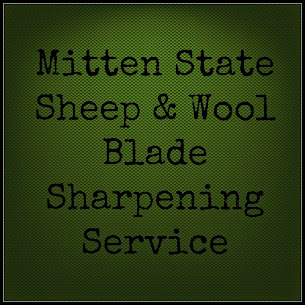 There are sections on Canning and Freezing Foods, Processing Meats, Meals in a Jar, Make Ahead Desserts and more. This book would be a great resource for the newbie, or the more seasoned homemaker like me. There is more than enough information to get you started on making delicious meals at home, on a budget. It is much more than a recipe book. I enjoyed Carol's tips, ideas, and experience! I found a few recipes I would love to try like, making granola in the crock pot, and Carol's favorite Hummus recipe. We are also having a giveaway for Carol's e-book this Thursday on the HomeAcre Hop! So stop by for a chance to win this wonderful resource! Granola in the crock pot sounds interesting! I make granola in the crock pot because if I make it in the oven, I burn it every time. THAT looks and sounds like a cook book that I need to buy! Thank you, Sandra, for your kind review. Looking forward to giving one away on the HomeAcre Hop. What a great sounding book.. It would be great to review cook books.. Never thought of it before..